Ubiquitous flower from Grandma's garden. Actually quite tough to choose as took loads of pictures as unlike us she actually has some flowers! 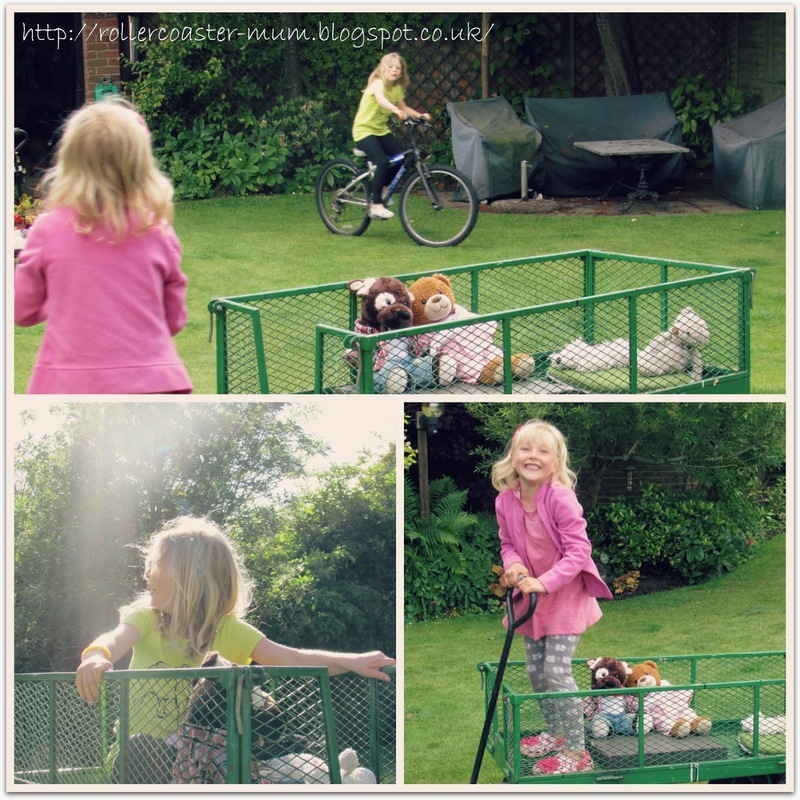 The girls spent hours pulling each other and their teddies around Grandma's garden on her garden trolley - and when they got bored of that there was the bikes ! 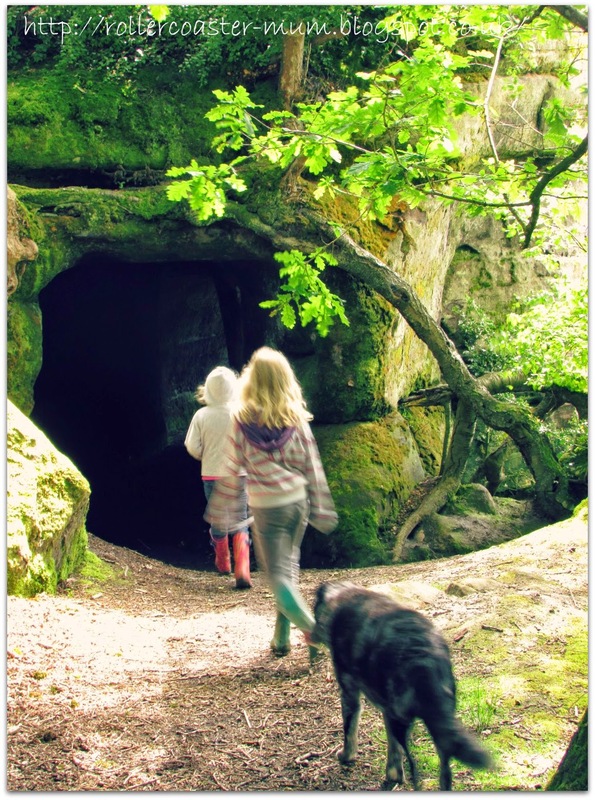 Dog walks at Grandma's are the best when you go somewhere this exciting - caves, boathouses, tunnels and rocks to climb. Heading into one of the 'secret' tunnels! 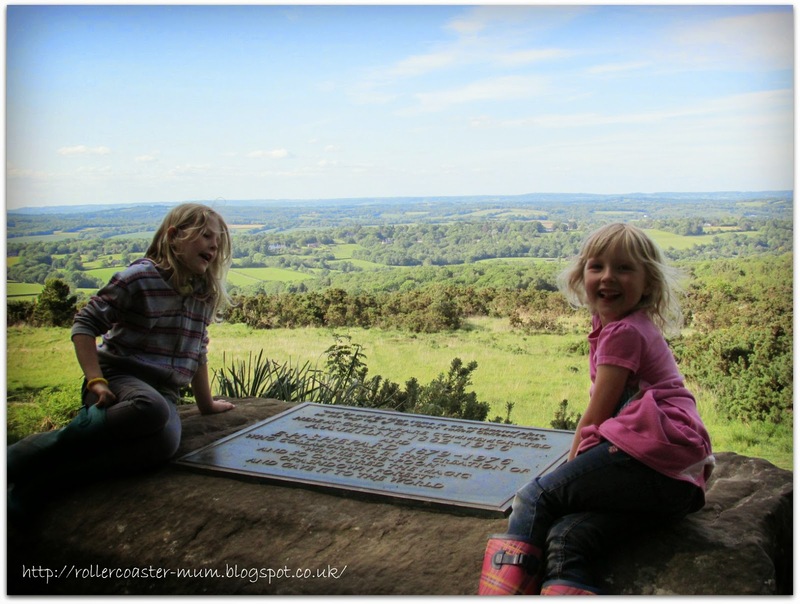 Winnie the Pooh's 'Enchanted Place' on Ashdown Forest - one of my favourite ever places. 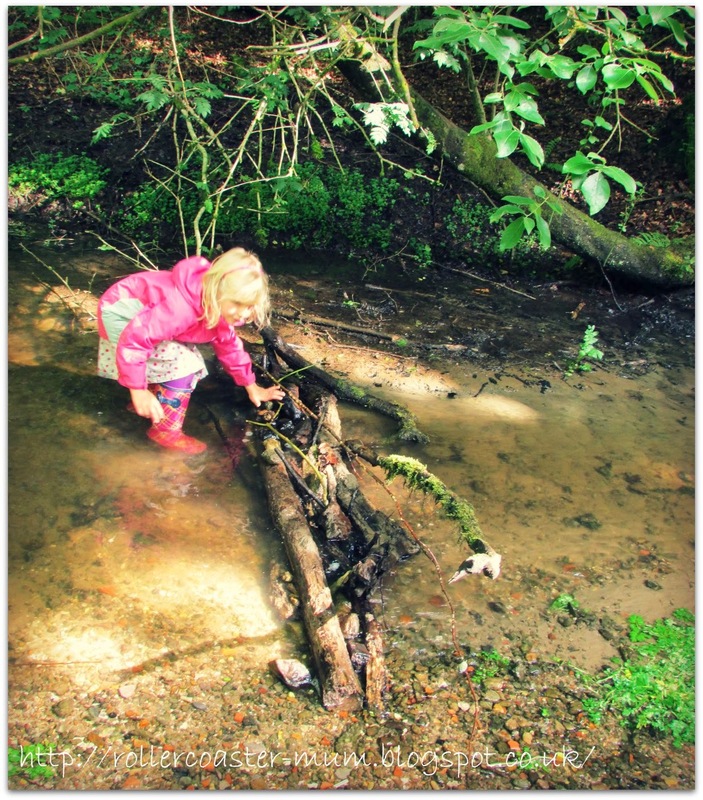 Ticking off another of our #50things - building a dam across a stream. 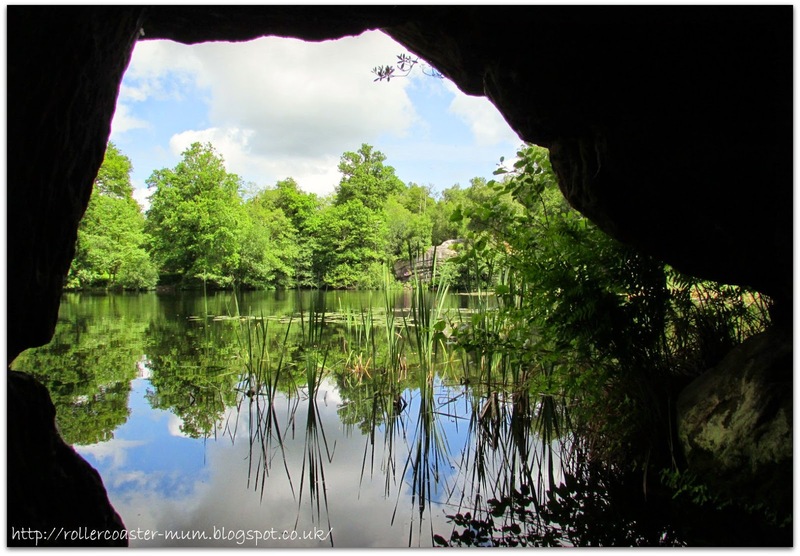 We visited our new favourite place - Waggoner's Wells again for a spot of dam building. 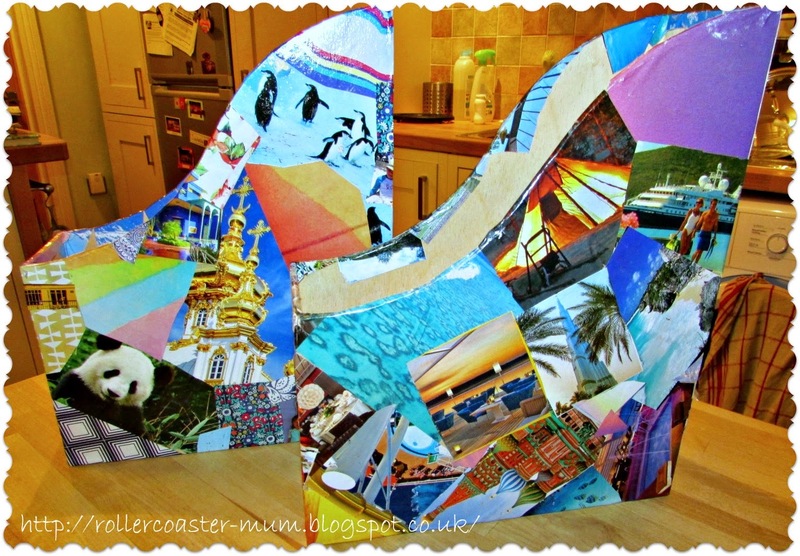 The girls and I had lots of fun decoupaging these Knuff IkeaMagazine racks - our first go at decoupage and it was really easy! Using Bigger Miss's voucher from the National Trust that she got last year for completing 25 of her #50things we revisited the Vyne and spent most of the time having a go at orienteering in the very muddy woods (another #50things ticked off) but I didn't get any pics of them doing it but they did have fun admiring the size of the Gunnera leaves. That shot looking out from a cave is stunning. I do like the photos of all the teddies in the garden trolley! That dam looks like fun. Exploring secret tunnels must be great fun. Wow love the outdoor fun! grandma's looks like great fun with beautiful walks. 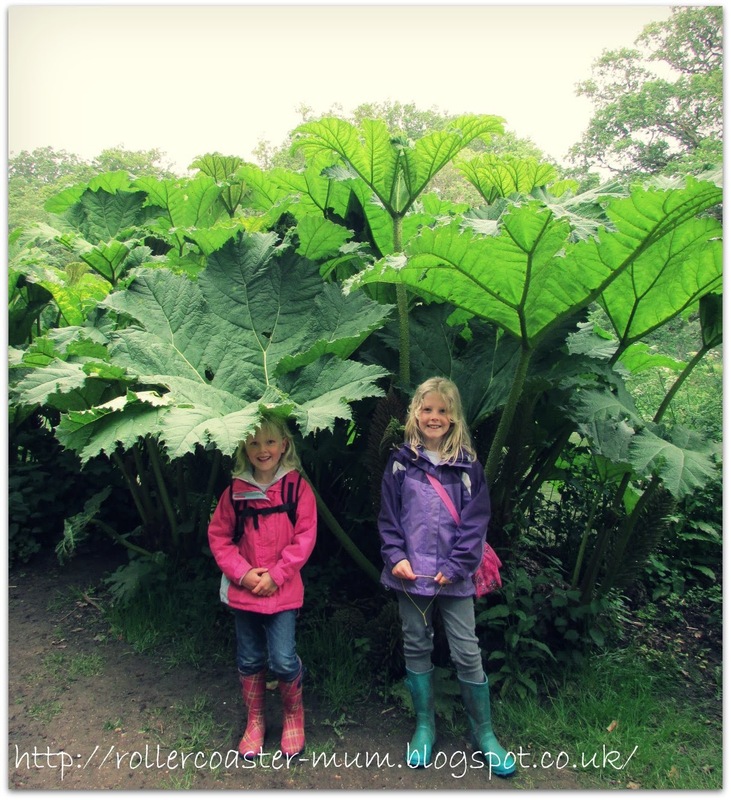 Those leaves are pretty impressive! My son would be SO jealous of that trolley! He always wants me to buy him one when we go to the garden centre! I like the look of your new magazine racks... so many colours... lovely! great photos and such pretty girls, looks like you had a great time. 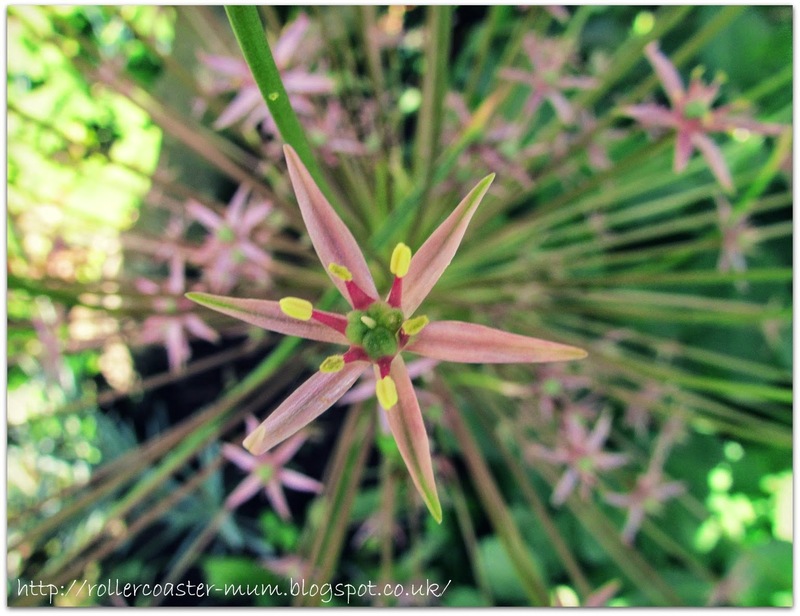 you always make out that your week has not been very excitng but your photos show such a different story! that garden trolley looks like a lot of fun! This looks like a fantastic week and some really wonderful photos to record the memories. I love the look of that garden trolley - hours of fun for any child! And who doesn't love a bit of Winnie the Pooh? !